It is becoming increasingly evident that the desperate pursuit of government set targets has led to a misguided culture of subterfuge and misdirection within the ambulance 999 system. Under-resourced Ambulance Trusts so pressured to achieve impossible targets may be resorting to massaging the system to meet demands set by the government. Beyond the simple failure to provide appropriate ambulance responses, of great concern is the alleged practice of inappropriate call categorisation. Rather than admit that Ambulance Trust’s inability to meet current demand, there is evidence to suggest that 999 call-handlers and clinicians in despatch are being encouraged to find ways to downgrade potential Red 1 calls that cannot be attended in 8 minutes. It has also been suggested that single responders in Rapid Response Vehicles are being reclassified as vehicles capable of transporting a patient in order to avoid sending an ambulance. If those practices are taking place, that undermines the already questionable validity of the present target-driven system of monitoring Ambulance Trust effectiveness. If dispatch staff are under pressure from a sinister culture of prioritising targets over genuine patient care, this is unacceptable and they need to speak out. If these practices are evident to front line staff or from patient experience, this needs to be made known too. The culture in HEOC may be too pervasive to draw out concerned call-handlers and dispatchers without front line support. Concerned staff need to stand together and stand up. Listen to your conscience. Everyone who works for the ambulance service is there for the same reasons – you are the kind of people who want to play your part in helping those in need, yet increasingly you are made to dance to the soulless tune of the ORCON piper. If things are going wrong, silence is not the solution. It is important that staff understand that they have a legal right to raise concerns about such practices and are protected under the Public Interest Disclosure Act 1998. Below is important information covering how to “whistleblow” and additional links to Care Quality Commission are available in the sidebar to the right. It is also important to recognise that this should not be viewed as an attempt to instigate a witch hunt against any individuals, but to highlight that the accepted culture of target-chasing has led to inappropriate working practices. It makes no sense to pretend that targets are being achieved if they are not. The ridiculous logic behind providing financial incentives to achieve targets has poisoned the noble goals of providing effective ambulance care. Road staff should not be forced to apologise for poor performance at every attendance and dispatchers and call-handlers should not be made mislead or coerce callers. If this culture exists, it needs to be exposed and ended. As healthcare professionals and decent human beings, we have a duty of care to see that right is done. It is responsible governance. Frustratingly, their focus seems to be exclusively on the quality and safety of “patients and people being treated”, with little reference to the welfare of the staff themselves. However, as was discussed in the Broken Paramedic article “Why the Public Should Care About the Institutionalised Abuse of Ambulance Workers”, they are closely linked. Under these guidelines, staff fatigue and the relentless physical and emotional pressures on a workforce stretched too thin could make a strong case in proving that patient care is suffering. Furthermore, the dilution of clinical skills with the introduction of the ECA role is evidence of attendances being made by staff without “the right skills, qualifications and experience”. I mean this as no disrespect to ECAs, they are being forced to provide clinical care without vital training simply as a cost-saving exercise. Staff fears and misunderstandings about whistleblowing are covered in the CQC document Whistleblowing Guidance for Employees of Registered Care Providers, and I thoroughly recommend you read it. 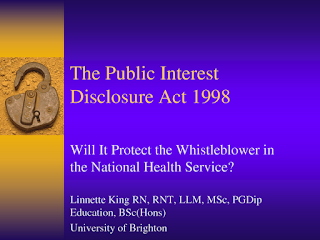 “Whistleblowing is the term used when someone who works in or for an organisation raises a concern about malpractice, risk (for example to patient safety), wrongdoing or illegality. The individual is usually raising the concern because it is in the public interest: that is, it affects others, the general public or the organisation itself. The Public Interest Disclosure Act (PIDA) protects workers by providing a remedy for individuals who suffer workplace reprisal for raising a genuine concern, whether it is a concern about patient safety, the essential standards of quality and safety set down by the law, financial malpractice, danger or illegality. Emphasis mine. It is critical to remember that staff discontent, union pressure and media coverage is ongoing and gaining pace. In accordance with CQC guidelines, Ambulance Trusts have had ample warning and opportunity to address concerns but have instead chosen to apply more pressure to their staff and continue to support the existing broken culture of arbitrary target pursuit. I have personally spoken to the chief executive of EEAST and he is fixed on pushing through the existing proposals and building on this broken system. If the staff of Ambulance Trusts all register their concerns with one voice to declare that things are going horrendously wrong, the CQC will have no choice but to investigate. We must then hope this will lead to those in power being properly informed of the travesties that are taking place daily. We cannot let the Ambulance Service continue to hide its failings. I have already contacted the CQC, but although I am still an HPC-registered paramedic, as a former EEAST employee I am only considered to be a concerned member of public. They told me that any information I give them will not protect my sources under the Public Interest Disclosure Act 1998. The majority of the comments left on this site are anonymous anyway, but even so, my influence is limited as the CQC requires specific and current information in order to justify an investigation. This information needs to come from the staff themselves as the Trust are unlikely to release damning information willingly, which is why it is imperative that staff speak up. Even those in senior positions should have the conscience to realise that it is the right thing to do. Ultimately, if it can be proven that the single-minded pursuit of questionable government targets is leading to inappropriate working practices, it will be the government itself which is responsible for bullying Ambulance Trusts into failing the public. There is no sense in blaming staff at any level. It is a change of direction that is required, not a change of personnel. As I have embarked on my attempt to raise concerns about the struggles of the ambulance service, I have fallen down a rabbit hole filled with stories of exhausted and frustrated crews and failing patient care. The further I progress, the more apparent it becomes how desperate the situation really is. You only need to read the many comments elsewhere on this blog, read the newspapers or search the internet to find many examples of how frequently and how badly the ambulance service is failing the public and its own workforce. I am doing everything in my power to push for a change to rectify these problems, but alone my power is limited. As a blogging paramedic with 12 years of front line experience, I have some sway, but that alone will not be enough to make a difference. Not on my own. In writing this blog, being published in the Mail on Sunday and very soon in the Eastern Daily Press, I am doing what I can to raise awareness and apply pressure. I have written to Norman Lamb, Minister of State at the Department of Health and MP for North Norfolk. I have attended a Trust Board meeting in an attempt to highlight my concerns to the EEAST chief executive Hayden Newton. I will continue to do what I can to bring effective change to our failing ambulance services, but others need to join the fight. I need to believe that others will push too, I cannot do this alone. Road staff, dispatchers, managers, directors and unions all need to make a stand. There cannot be an individual among you that thinks things are going well. As the establishment flogs its staff in the desperate pursuit of meeting arbitrary targets, all sense of what the Ambulance Service should stand for has been lost. Instead of an effective support network of staff spearheaded by enthusiastic clinicians, the ambulance service has become a meat-grinder that sacrifices patient care and staff welfare in order to make the numbers fit. The Ambulance Service is badly broken, this is your chance to fix it. 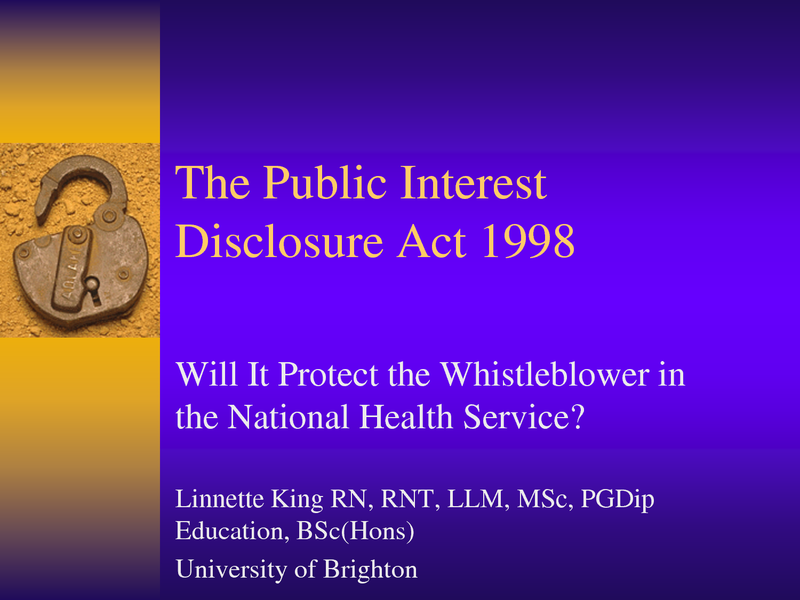 Further Information: A Powerpoint presentation covering Whistleblowing in the NHS.